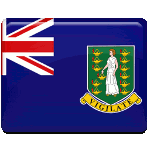 In 1872 the British Virgin Islands became a part of the British Leeward Islands and were administered through a federal system. The Federal Colony of the Leeward Islands was dissolved in 1956. The British Virgin Islands gained a status of colony in 1960 and became autonomous in 1967. Till 1978 Territory Day was known as Colony Day. Nowadays Territory Day doesn't only mark an important historic event, it also celebrates national pride. It's a memorial day, when the islands gained a status of an independent territorial unit. Celebration of Territory Day is usually marked by festive speeches delivered by authorities, music concerts and festivals, that are organized across the islands.